The one where I have no idea what to say.. So I’m planning on becoming more of a frequent blogger, this would as you can expect mean that I actually need to write something on the page before I hit POST. Shocking I know! Its so strange, all day I have bits and pieces running through my head that I think could possibly be turned into a blog post, but then I get hit with the reality of the situation. Maybe you don’t actually want to hear about the dream I had last night where I got chased by vampires, and maybe you don’t need to know about the fact I haven’t sneezed in about 2 months, albeit true Story. Something that I am sure I will be writing more about as the time gets closer. We are currently in the process of finalising the details for our Vacation Royale at the end of the year. We have recently made the decision to ditch Tokyo for India (for this trip, Tokyo is definitely on my places to see list), this change in plans makes me totally excited. Japan can wait for another day as J’s besties will be living there for some time and we can take a shorter, cheaper break there another time! India is a place I have always dreamt of going, this more than likely stemmed from the fact one of my besties is from there and I’ve always wondered about his background. So India will make up one third-ish of total vacation time but I’m completely stoked. 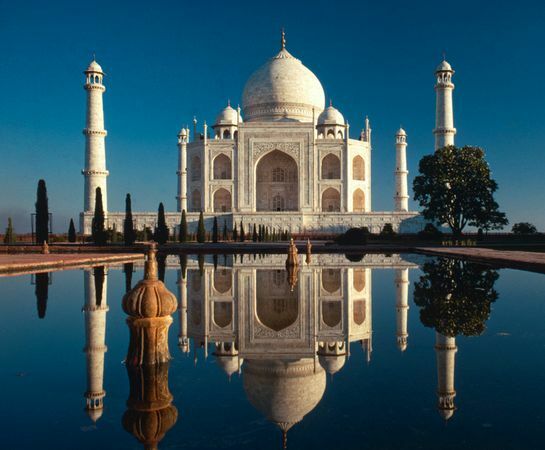 We have decided to focus on The Golden Triangle which consists of New Delhi, Agra and Jaipur. An elephant ride here, Taj Mahal over there, etc etc. Its going to be one wow of a trip full of so many first times which is always a stretch with J and I considering between us we have spent about 7 years travelling the globe. So its nice to find some places neither of us have been. I’m looking most forward to seeing the Taj Mahal in all its powerful glory and for J it is the Hawa Mahal “Palace of Winds”.. Both will be nothing short of breath taking, of this I have no doubt. Its going to be one thrilling holiday! I can’t FLIPPING wait !!!!! Has anyone been to India / The Golden Triangle? Tell me where you would go on your Vacation Royale!! 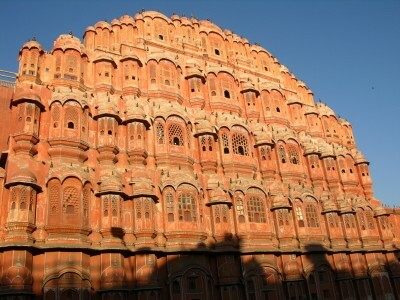 This entry was posted in IBOT and tagged Hawa Mahal, Holiday, India, Taj Mahal by Meagan. Bookmark the permalink. You lucky thing. Nope never really been anywhere. Bummer. You’re going to need to blog more often. We all want to live through you right now! Ha ha ha.. I don’t want to gloat though! But I will definately write a bit more about this up coming trip, its seriously the only thing on my mind right now. Sounds amazing! We were tossing up between India and Sri Lanka last month and went with Sri Lanka, it was just the holiday I needed but I still ache for India so maybe later in the year! I will keep an eye on your adventures for some tips. Hi Carly! Sri Lanka would have been amazing too! But my heart is 100% now into India, I can’t wait to share my stories! October isn’t THAT far away.. is it ? ha ha. I’ll be honest and say I have no real desire to go to India.